Coolgardie is a small town in Western Australia, 558km east of the state capital, Perth. Kick off your visit on the 11th (Tue): contemplate the long history of Warden Finnerty's Residence and then see the interesting displays at Goldfields Exhibition Museum. To see traveler tips, where to stay, maps, and more tourist information, use the Coolgardie travel route planning tool . Perth to Coolgardie is an approximately 4-hour flight. You can also drive. Expect a daytime high around 20°C in June, and nighttime lows around 7°C. Wrap up your sightseeing by early afternoon on the 11th (Tue) to allow time for travel to Kalgoorlie-Boulder. On the 12th (Wed), see the interesting displays at Museum of the Goldfields, then contemplate the long history of Hannans North Tourist Mine, then enjoy some diversion at Hammond Park, and finally explore and take pictures at The Superpit. Here are some ideas for day two: make a trip to Heartwalk and then explore the galleries of Goldfields Arts Centre. Discover how to plan a Kalgoorlie-Boulder trip in just a few steps with Inspirock's itinerary builder. Drive from Coolgardie to Kalgoorlie-Boulder in an hour. In June, daytime highs in Kalgoorlie-Boulder are 20°C, while nighttime lows are 7°C. Wrap up your sightseeing on the 13th (Thu) to allow time to travel to Norseman. Norseman is a town located in the Goldfields-Esperance region of Western Australia along the Coolgardie-Esperance Highway, 726km east of Perth and 278m above sea level. Start off your visit on the 14th (Fri): appreciate the history behind Norseman Statue, see human ingenuity at work at Bromus Dam, and then stop by IGA Norseman. To find maps, photos, and tourist information, go to the Norseman visit planning website . You can drive from Kalgoorlie-Boulder to Norseman in 2.5 hours. Finish up your sightseeing early on the 14th (Fri) so you can travel to Southern Cross. Southern Cross is a town in Western Australia, 371 kilometres east of state capital Perth on the Great Eastern Highway. On the 15th (Sat), take an in-depth tour of Yilgarn History Museum. To see maps, photos, more things to do, and more tourist information, read our Southern Cross online road trip planner . Traveling by car from Norseman to Southern Cross takes 4 hours. Wrap up your sightseeing by early afternoon on the 15th (Sat) to allow enough time to travel to Perth. 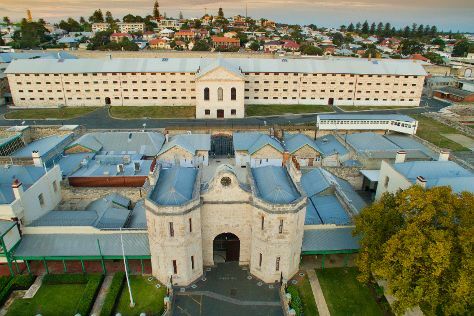 Your inner history buff will appreciate Fremantle Prison and St. Mary's Cathedral. Satisfy your inner culture vulture at The Perth Mint and Western Australian Maritime Museum. Get out of town with these interesting Perth side-trips: Fremantle (Fremantle Markets & The Shipwreck Galleries). Dedicate the 20th (Thu) to wine at some of the top wineries in the area. Next up on the itinerary: admire the natural beauty at Kings Park & Botanic Garden, get engrossed in the history at The Nostalgia Box Museum, pause for some photo ops at The Bell Tower, and contemplate in the serene atmosphere at St. George's Cathedral. For other places to visit, photos, traveler tips, and tourist information, use the Perth trip itinerary maker website . Getting from Southern Cross to Perth by car takes about 4.5 hours. Other options: fly. In June, plan for daily highs up to 23°C, and evening lows to 9°C. Cap off your sightseeing on the 21st (Fri) early enough to travel back home.